Commercial Bargains 4 Color 1 Station Single Rotary Screen Press. The screen layer can be rotated independently upon installation, then available for four color overprinting and making progressive proofs. Table type and combinatorial design saves space and convenient for transportation. 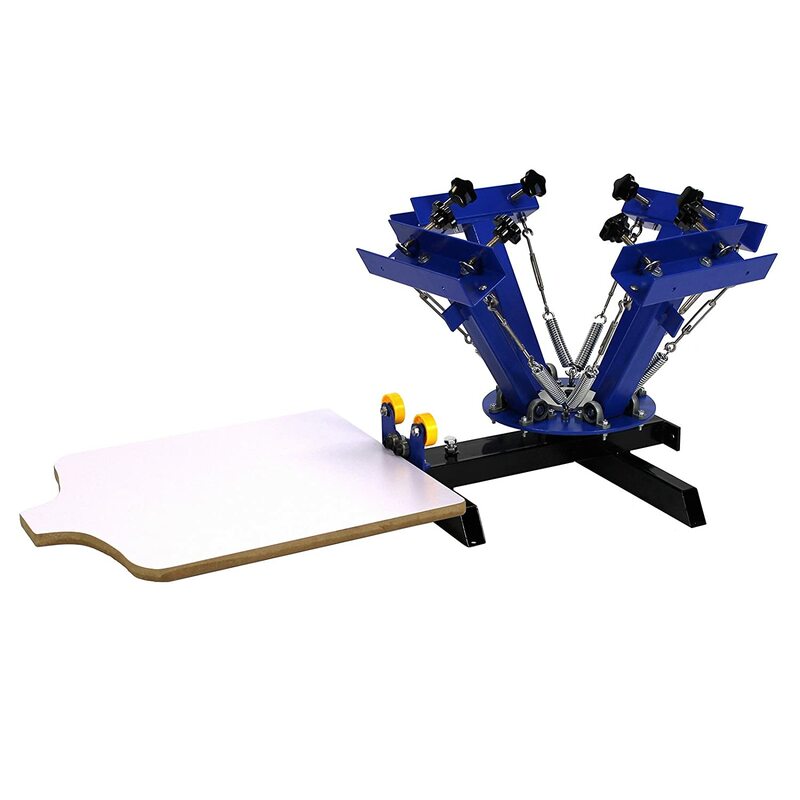 Screen printing platen layer can rotate independently which is easy operated with higher efficiency. Supporting device keeps the machine stable and in balance. All-metal construction, advanced electrostatic spraying and electroplating, durable and easy to clean. Equipped with full set of installation tools, for installation and operation. Click the button below to add the Commercial Bargains 4 Color 1 Station Silk Screen Printing Press Machine to your wish list.